The following terminology applies to these Terms and Conditions, Privacy Statement and Disclaimer Notice and any or all Agreements: “Client”, “You” and “Your” refers to you, the person accessing this website and accepting the Organisation’s terms and conditions. “The Organisation”, “Ourselves”, “We” and “Us”, refers to our organisation LWCHC. “Party”, “Parties”, or “Us”, refers to both the Client and ourselves, or either the Client or ourselves. All terms refer to the offer, acceptance and consideration of payment necessary to undertake the process of our assistance to the Client in the most appropriate manner, whether by formal meetings of a fixed duration, or any other means, for the express purpose of meeting the Client’s needs in respect of provision of the Organisation’s stated services/products, in accordance with and subject to, prevailing Australian Law. Any use of the above terminology or other words in the singular, plural, capitalisation and/or he/she or they, are taken as interchangeable and therefore as referring to same. Our centre is committed to providing quality health care and services. Our centre collects your personal information to ensure you receive the highest standard of care and service. We are committed to protecting the privacy of your client information and to handling your personal information in a responsible manner in accordance with the Privacy Act 1988 (Cth), the Privacy Amendment (Enhancing Privacy Protection) Act 2012, the Australian Privacy Principles and relevant State and Territory privacy legislation (referred to as privacy legislation). We collect information that is necessary and relevant to provide you with health care and treatment, and manage our health centre. This information may include your name, address, date of birth, gender, health information, family history, credit card and direct debit details and contact details. This information may be stored on our computer health records system and/or in handwritten health records. We collect information in various ways, such as over the phone or in writing, in person in our centre and outreach clinics or over the internet if you transact with us online. This information may be collected by medical and non-medical staff. We may be required by law to retain health records for certain periods of time depending on your age at the time we provide services. The information on this web site is provided on an “as is” basis. 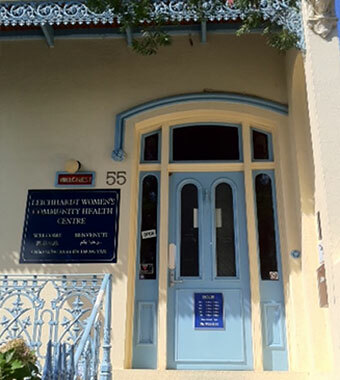 To the fullest extent permitted by law, this entity Leichhardt Community Womens Health Centre excludes all representations and warranties relating to this website and its contents or which is or may be provided by any affiliates or any other third party, including in relation to any inaccuracies or omissions in this website and/or the organisation’s literature; and excludes all liability for damages arising out of or in connection with your use of this website. This includes, without limitation, direct loss, loss of business or profits (whether or not the loss of such profits was foreseeable, arose in the normal course of things or you have advised this Company of the possibility of such potential loss), damage caused to your computer, computer software, systems and programs and the data thereon or any other direct or indirect, consequential and incidental damages. Copyright and other relevant intellectual property rights exists on all text relating to the organisation’s services and the full content of this website. We have several different e-mail addresses for different queries. These and other contact information, can be found on our Contact Us link on our website or via organisation literature or via the organisation’s stated telephone, facsimile or other contact details. This company is registered at 55 Thornley Street, Leichhardt, NSW. Postal Address PO Box 240 Leichhardt NSW 2040.